NEW YORK, NY--(Marketwired - January 15, 2015) - Enticed by the e-commerce boom, Erica Bernstein has successfully transformed the trend-setting business she started in her college sorority house into a popular web-based enterprise. 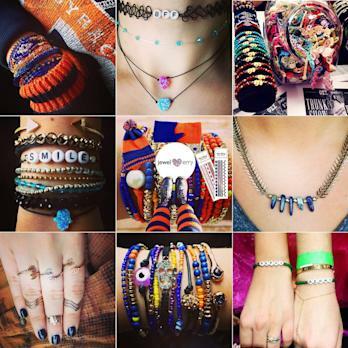 Capitalizing on her distinct niche -- selling affordable trendsetting jewelry to her "sisters" and classmates at Syracuse University -- Erica's designs became instant must-haves. Many college towns do not offer easy access to the latest trendy items, and for those students without cars, buying a birthday gift or a new accessory is often impossible or unaffordable. 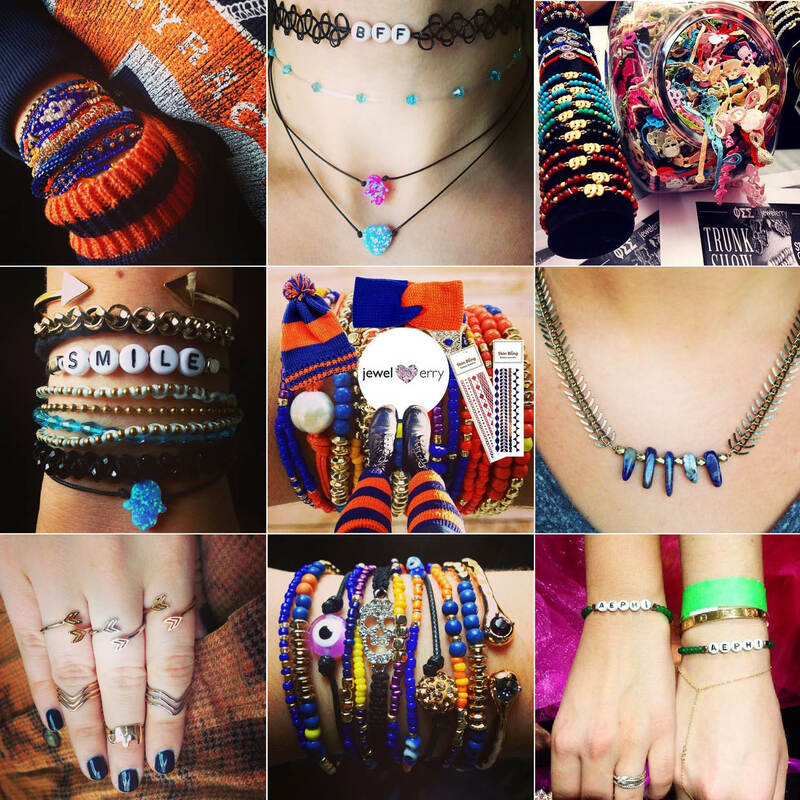 Determined to fill this need at Syracuse, Erica began designing, manufacturing and selling a range of high-trend, low-cost accessories, designating a percentage of sales for the charities supported by the sororities on campus. Before long, she received invitations to host fundraising trunk shows at other colleges across the country. Launched in June 2014, JewelErry.com provides fast, easy and affordable access to Erica's creations for young fashionistas all over the globe. With most items $10 or less, discounts for special packages, and a low flat shipping rate regardless of the size of the order, JewelErry.com has created a frenzy. "JewelErry," a play on Erica's nickname "Erry," offers much more than costume jewelry. The line includes bracelets, necklaces, rings, photo socks, scarves, scrunchies, headwraps, hats, gloves, Skin Bling tattoos, and everything in between. Many of the items are designed specifically for particular schools -- bearing the school-spirit colors and themes. Erica has also obtained licensing to create logo-specific product for her sorority, Alpha Epsilon Phi, and has obtained licenses for Sigma Delta Tau, Kappa Alpha Theta, and Alpha Phi. New sororities are contacting Erica everyday to create custom accessories to raise awareness and funds for worthy charities. Drawing on her passion for all things trendy, and her majors in fashion photography and entrepreneurial studies at Syracuse, jewelerry.com is a natural progression for Erica. And, she has even woven her life-long philanthropic bent into her business endeavors. She offers a 20% of sales donation to all charitable organizations that host trunk shows and flash sales of JewelErry products. JewelErry is uniquely marketed through brand ambassadors -- college student reps who sign agreements to promote the line of products to their friends and peers through social media. Reps earn a commission for all non-charity directed sales resulting from their efforts. Currently, Erica has student reps at over 30 colleges, and receives applications and inquiries from additional students daily. JewelErry.com was most recently recognized by the Elvis Duran and The Morning Show, having been featured on Carla Marie's What's Trending segment on January 9th, 2015. Visit JewelErry.com for more information about Erica and her new venture.